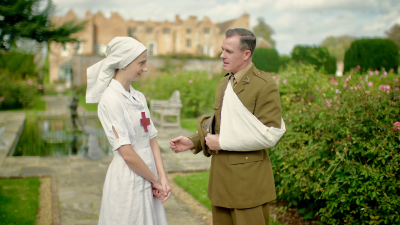 Stanley’s War is a major drama-documentary film based on true stories of Suffolk’s First World War, it dramatises stories of love and sacrifice, following the lives of Suffolk people during WW1. The film recounts the true life-changing experiences at the Western Front of Stanley Banyard, a farm hand from Ramsholt and how he saved the lives of his comrades, lost in no-man’s land, using skills learnt as a boy from a Suffolk gamekeeper. The film also portrays the WW1 experiences of the Pretty family, factory owners from Ipswich, including the forbidden romance between Major Frank Pretty, 4th Battalion, Suffolk Regiment and Edith Dempster (later Edith Pretty of Sutton Hoo fame). The film also depicts the tragic story of Lieut. Donald Pretty, 4th Battalion, Suffolk Regiment who was killed in action. Tim first approached Screen Suffolk about helping with the film when he was searching for his ideal cast. We sent an email to over 100 actors and extras who have registered with us and the response was incredible. So many people got in touch with Tim that he had to set up a designated website for registrations. 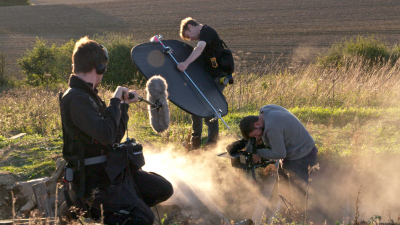 Tim found his core cast and crew through us and we can’t wait to see this true Suffolk film. Stanley’s War receives its world premier at a gala reception and screening at the Riverside Theatre in Woodbridge on 4th November 2018.